For more than 40 years the mission of Novikoff, Manheimer & Co. has remained the same: find the best people and provide them with fulfilling careers, so that we can deliver outstanding customer-centric service in the field of accounting. At Novikoff, Manheimer & Co., our single greatest pleasure is serving our clients. It is the reason why we got into accounting, and it is the reason why we come to work in the morning. We are proud of our customer-centric approach and we hope that shows through with the work we do for each and every Novikoff, Manheimer & Co. client that we serve. Please take a moment to get to know the people that will be serving you. You will see that “family and service” are common themes with our associates, and that is why it is so easy to offer those same values to our clients. Larry takes a hands-on personal approach to the professional services he provides to his clients. He is involved in all aspects of services to small businesses including consulting, preparation of compilation, review and audited financial statements. 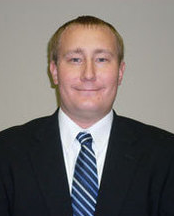 Matt is a graduate of Northern Kentucky University where he earned a Bachelors Degree with a major in Accounting. 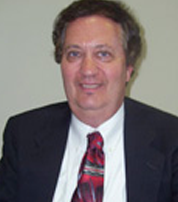 He began working at Novikoff, Manheimer & Co. in 2000 and successfully passed the CPA examination in February of 2006. 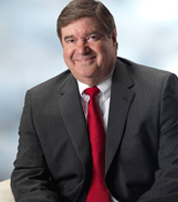 He is currently licensed to practice in the State of Ohio and his professional associations include the Ohio Society of Certified Public Accountants. Over his thirteen years with the firm, Matt has accumulated knowledge of our client base and has gained valuable experience in all areas of the practice including individual and business taxation, audits and review engagement, and tax and estate planning. Matt currently resides in Springfield Township with his wife, Stephanie and their two sons Jacob and Aaron. Together they enjoy playing soccer, sand volleyball, and various other recreational activities.